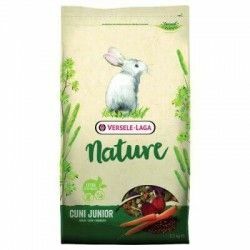 The feed for rabbits Versele Laga Cuni Junior Nature is an ideal way to ensure that your rabbits small ones will grow healthy and strong. 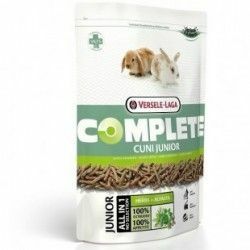 It is a complete food that provides all the nutrients needed by the hatchlings during their first six months of life. 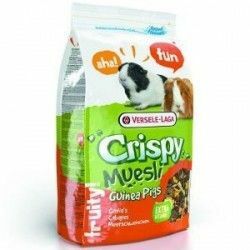 Contains vitamins, minerals and amino acids that requires your pet to develop optimally, in a mixture very appetizing, energetic, and rich in fiber for good ingestion and digestion. 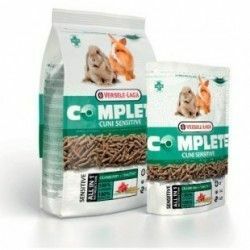 The formula of this tasty food and very attractive to puppies rabbit does not contain granulated, pressed and includes a blend of premium fibers, herbs, vegetables and nutritional supplements that are beneficial to the digestive system of your pet, take care of your dental health and give a shiny coat. 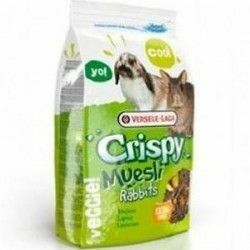 Food for rabbits young people that helps them to grow healthy and strong. 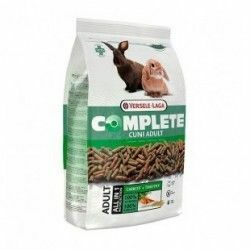 Contains all the nutrients that they need for their development. It is made with natural ingredients that benefit your health. Take care of your digestive system and is good for your teeth. Gives hair lustrous and shiny. I think for the growth and development of offsprings young people of up to six months. Adapt the amount you give to your pet depending on his size and age. 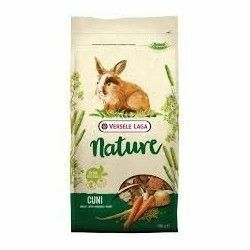 The manufacturer recommends that the daily allowance is between 50 g and 80 g.
Change the food and water your rabbit on a daily basis. Analytical components: protein (16.5 percent), and fats crude (4%), crude cellulose (15%), crude ash (6%), calcium (0,70%), phosphorus (0,50%), lysine (0,81%), methionine (0,29%), vitamin A (16.000 IU/kg), vitamin D3 (1.500 UI/kg), vitamin E (40 mg/kg), copper-copper enxofre (II) (13 mg/kg).